This post was written by C.J. (age 10). If you aren’t caught up on Drag Race, it contains spoilers. All photo creds go to LogoTV.com. This season’s first episode wasn’t as good as the first episode from other seasons. It took me a little while to get super in to this season. But, now I am. Bam. On the first episode I liked Jaymes Mansfield and Nina Bo’Nina Brown the best. Jaymes Mansfield because she came out with a puppet and Nina Bo’Nina Brown because her look was inspired by Mickey Mouse. But my favorite queen from the first episode was Lady Gaga. She wasn’t really a competitor, but she was still my favorite. I liked it when Lady Gaga said that drag offers an escape. I think drag is a great escape. Sometimes I use drag to escape boring real life. In this episode Valentina and Sasha Velour were my mom’s favorites. Sometimes we don’t have the same favorites and that’s okay. I said that the next day to my mom before school. She laughed and said it was true but I shouldn’t talk about giving the middle finger. Especially at school. I’m glad Nina Bo’Nina won the first episode. I think Mama Ru made the right choice. Every episode I look for a wedding ring on RuPaul’s finger because my mom told me he got married! But I haven’t seen a wedding ring yet. Where is Ru’s husband?! RuPaul’s probably not wearing a ring for the show but he is probably definitely wearing it when he’s not on the show. I was not happy that Cynthia Lee Fontaine came back to the show on the second episode. I thought it wasn’t fair that she was back at first, but now I’m glad she’s back because she had to leave the first time because she had cancer and she deserves a second chance. Everybody deserves a second chance, especially if you had cancer. There is a wax statue of RuPaul in the workroom and I want it more than anything. I would put it in my room. I also want a wall of fabric in my room, like they have in the workroom. But, my mom says we just redid my room recently and we aren’t going to do it again anytime soon, but I feel like that was such a long time ago. In the second episode I realized how whiny Kimora Blac is. I thought Peppermint was the best on the runway and she became one of my new overall favorites for a minute. Jaymes Mansfield had to sashay away and that was the right decision even though at the very first she was my favorite. Her personality wasn’t ready for Drag Race. She maybe should have waited a season or two. By the third episode (which is the most recent one you should watch), Valentina is my new official favorite. She is soooooooo good at eye makeup. In the episode Kimora said she didn’t know what an adjective is. By Kimora’s age you should know what an adjective is. By that age I’m going to know them in my sleep. Sasha Velour said “we need to be proudly visible queer.” I told my mom I liked the sound of that quote and she asked me why but I couldn’t explain it. I can’t always explain how quotes make me feel. On the runway Cynthia Lee Fontaine’s outfit looked a little like a kindergarten craft, no offense. I liked Farrah Moan’s seashell bra and lots of the queens had really great hair. Kimora was a no in my opinion. Nina Bo’Nina always does great at gluing a mask to her face. But I have to admit her look scared me a little. I’m just a kid! 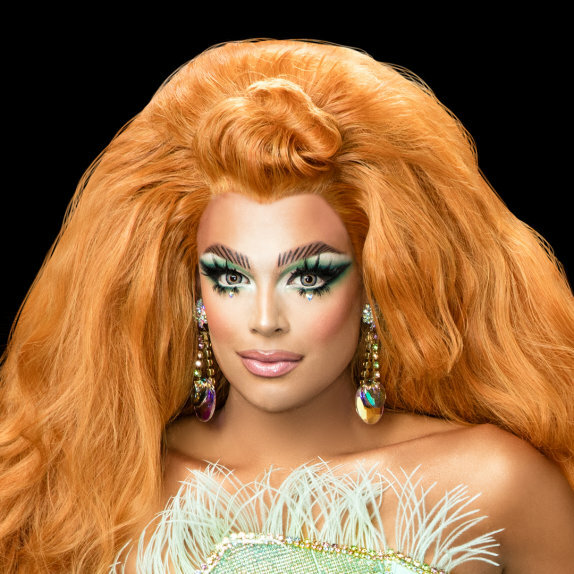 Valentina’s look was my favorite. She reminded me of a grown up drag Shirley Temple. Her eye makeup is always so good. So good. 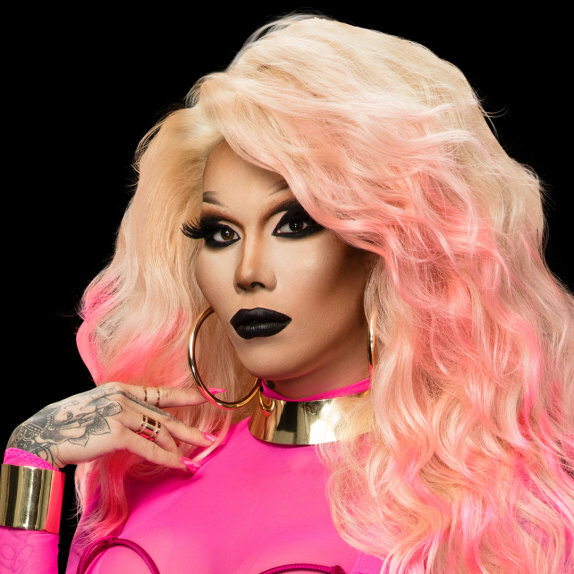 RuPaul made another good choice sending Kimora Blac home. When she gets home she should learn how to sew and not pay people to do it. And learn what adjectives are. I can’t wait to watch the rest of the season and see who wins. Right now I want Valentina or Nino Bo’Nina to win. This entry was posted in All Posts and tagged Cynthia Lee Fontaine, Gender, gender creative, gender nonconforming, Jaymes Mansfield, Kimora Blac, Lady Gaga, LGBTQ, Logo, Logo TV, Nina Bo'Nina Brown, parenting, Peppermint, RuPaul, RuPaul's Drag Race, Sasha Velour, Valentina. Bookmark the permalink. Speaking of Drag Race here is a link to a guy who is trying to get Drag Race made into a LEGO set! He needs some votes. I didn’t know if CJ would like this or not, but I think it looks cool. Hey Jeff, I’m that guy! Thanks for sharing this with this thread. It’s really appreciated as every vote counts (and there’s still time to get votes in at https://ideas.lego.com/projects/160848 folks!) Thanks again, Mark. CJ, you are EVERYTHING that is great with this world!! I am looking forward to more of your thoughts on season 9!! My favorite is Nina Bo’Nina. I like her makeup and masks she wears, plus she is SUPER sassy!! CJ is just the best! I love hearing the point of view of children, so innocent and honest, so profound. Thank you for this blog, thank you for the parent you are to CJ, and thank heaven for CJ! We need more people like all of you in this world! He’s so sassy, I love it! 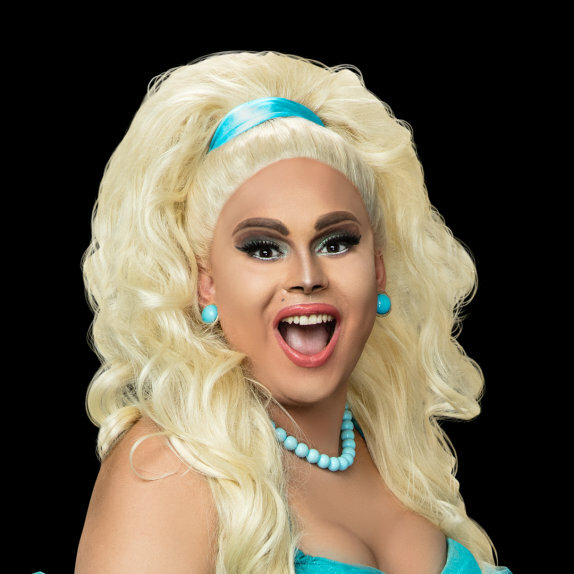 Is it just me or does Jaymes Mansfield look like Arianna Grande? What I love most about this whole review is that CJ is put off by an adult now knowing what an ADJECTIVE is. GO CJ!! Nina is fabulous as well. I love RuPaul’s drag race! Valentina and Nina are two of my favorites, along with Sasha 🙂 Can’t wait to hear your next update, CJ! Sounds inserting, but I gave away the TV in November and don’t really miss it. I am right with you on Nina and Valentina (they rhyme!). They show quality work, real talent, and unfettered imagination. Very well written post, CJ ! I haven’t seen the show but now I definitely feel like I’m missing out. He’s so sweet. As the season goes on, I hope Peppermint becomes one of CJ’s favorites for more than a minute! I’m with you on liking Valentina best, CJ! Nina is pretty great too. Great job, CJ! My favorites are Valentina and Nina, because I like the fashion girls and the weird girls– just like in real life. Look forward to your next post! Yes. Two of my top faves are Nina Bo’Nina and Valentina. I also like Alexis Michelle, because she is smart and seems compassionate.